Last year, Van Cleef & Arpels made waves when it unveiled Le Secret, a dazzling high jewellery collection featuring transformable pieces and designs with hidden features. It was a showcase of unbridled, unapologetic splendour, with highlights such as secret watches and flower-shaped clips speckled with sparkling gemstones. 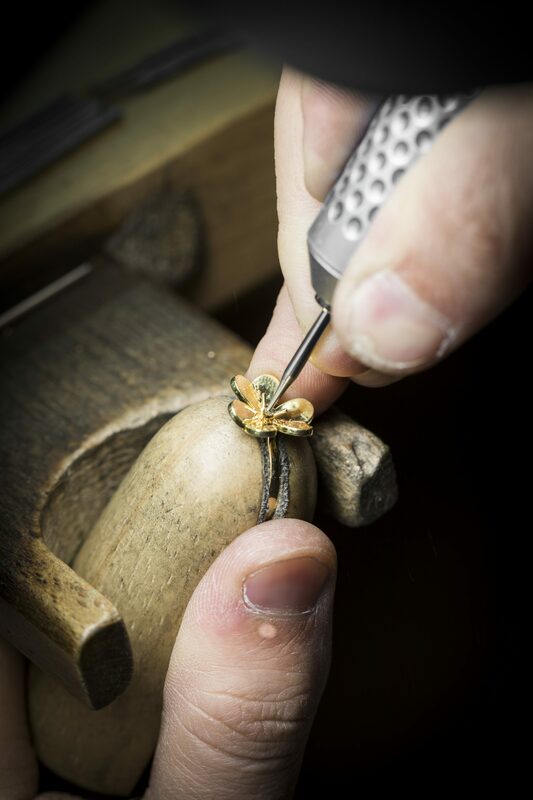 For its first release of 2018, the storied French jeweller continues exploring this penchant for floral motifs and transformable jewels in its newly updated, nature-inspired Frivole collection, which sees the addition of nine new yellow gold designs. This year’s Frivole collection sees the introduction of a new motif comprising three dainty flowers. What’s significant about this year’s Frivole line is the introduction of a new motif: A dainty cluster of three small flowers with heart-shaped petals. A tiny diamond, fringed with gold, adorns the centre of each flower. Unabashedly feminine and demure, this new motif has been translated into a pendant and earrings. Another highlight of the collection is a new, transformable pendant that can pull double-duty as a clip. It features three petals, which, like the rest of the range, have been meticulously mirror-polished to achieve maximum shine when they reflect light. 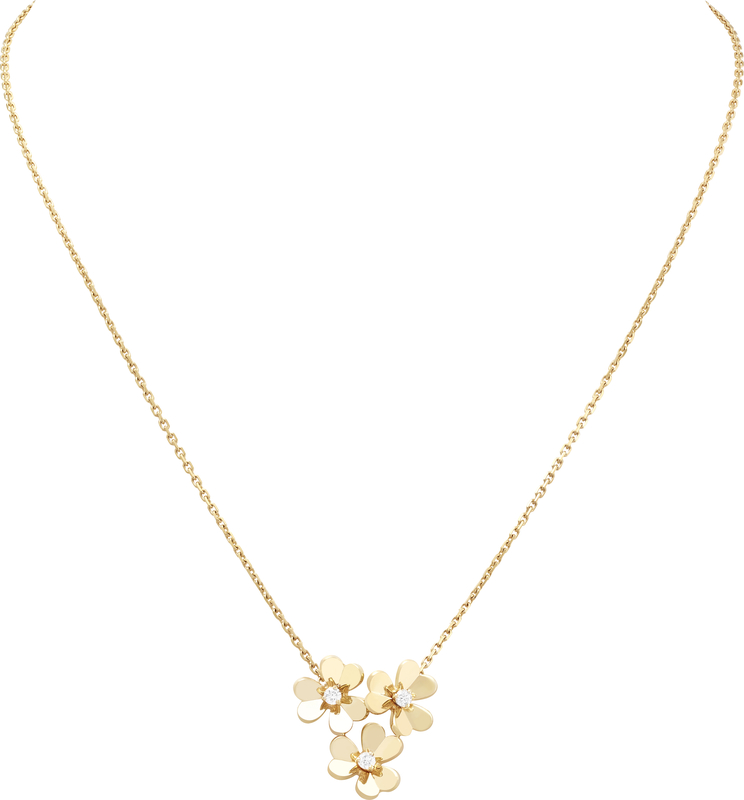 The pendant also showcases a trio of diamonds nestled at the heart of these gleaming petals. This same three-petal silhouette can be found in a matching ring bedecked with a single diamond. For 2018, Van Cleef & Arpels has added diamonds to its existing Frivole jewels. Van Cleef & Arpels’ new Frivole additions also include blinged up renditions of existing jewels in the collection — specifically the mini model pendant, earrings and bracelet that were launched last year. Diamonds in colours ranging from D to F, with a clarity of either IF (Internally Flawless) or VVS (Very Very Slight Inclusions), have been festooned all over these pieces for an ultra luxurious touch. Paired with the jewels’ openwork details — an iconic Frivole feature that allows more light to pass through them — they look absolutely stunning. The new Frivole collection will officially launch on 21 March 2018.